29.06.2012. 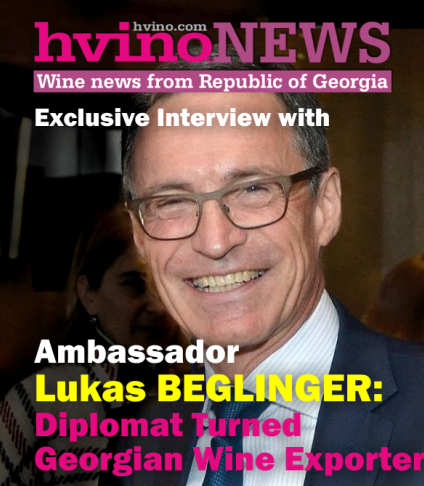 The 4th edition of the biennial National Georgian National Wine Competition held in the capital, Tbilisi last month was delightful but small competition featuring Georgian wines that evidenced an improved quality of Georgian wines, writes our contributor John Salvi MW, who was one of the judges. I was very excited when I was invited to judge the 4th Georgian National Wine Competition, a competition organised by the «Wine History Foundation» and which has taken place every 2 years since 2006. I had only been to Georgia known as ‘the cradle of wine’, and Tbilisi once before and that was to estimate the value of Stalin’s old cellar in gloomy and humid cellars with the romantic name of “Number One Warehouse”! An almost impossible job as the labels had rotted off due to the excessive damp. I knew nothing at all about Georgian wine and looked forward to learning a great deal. I was not disappointed. I knew that they had many autochthonous grape varieties but was unprepared for just how many. I flew to Tbilisi from London, together with a young lady, Natasha Hughes who is about to become a Master of Wine (Mistresses are called Masters in our strange English system!). It was an over 8-hour journey and we were met and driven straight to our hotel to sleep. We were lodged in the Sheraton Metechi Palace Hotel. Here we met in the lobby at 09.30 next morning and were driven off by a delightful driver, who accompanied us throughout our stay, to the Georgian National Museum where the tastings were to be held. To my very considerable surprise our entire jury and tasting panel consisted of just 6 persons seated round a very large and beautiful table dressed with a fine linen tablecloth with a vine-leaf motif. We were truly international in character. Anna Godabrelidze was the President of the Jury, a charming and knowledgeable lady who I had met at a tasting at Terravino in Jerusalem. Georgi Samanishvili, a Georgian oenologist. Axel Diesler from Germany. Natasha Hughes and myself and a gentleman from Poland, Wojciech Bosak were the other judges. We were looked after by Nino Chihouani, General Director of the Chamber of Commerce and Industry. The owner of the whole tasting and event, which was private but with the support of the Chamber of Commerce, was Jemal Inaishvili (Gras Savoye Georgia), a man of many parts and infinite charm. Anna made an excellent President and although we were such a small jury nothing had been spared to make tasting conditions efficient and comfortable. As already mentioned the table was laid with a blinding white tablecloth. Spittoons, huge grissini and mineral water. The glasses were rather small. The spittoons were vast, heavy, ancient and imposing and engraved “BAGRATION 1882”. We used the 20 point system. For a commendation a wine needed 14 points, for a silver medal 16 and for a gold 18. We tasted and discussed each wine one by one in depth and detail and each gave Anna our marks. She then collated them and took the average of our 6 judgements. Before we started tasting Georgi gave us some information about the unknown grape varieties and an idea of how they should taste. The tasting sheet was very simple. We merely had to mark down our score and were free to write comments if we wished. All of us did as we were told that they would be of help to the producers. We were informed of the vintages and the grape varieties on printed sheets. We started with white wines. They were bright, even brilliant, and many of them were tannic. We moved on to Sparkling, both Classic and Cuvee Close, the majority semi-sweet. The glasses were wrong for Sparkling wines. The Chinuri grape fared best. 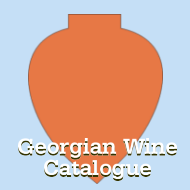 In Georgia, dry wines can legally have up to 30 grams of sugar and semi-sweet 30-50 grams. We were taken out for an excellent lunch (chicken Kiev) and came back to another long slow session of Red wines. Many of them had intensely deep colours, hard tannins and lacked sufficient fruit. It became quite clear that we should NOT judge these wines by our usual European standards and tastes, but learn to appreciate Georgian traditions and flavours. Some wines from the USAKHELAURI grape made a good impression. We tasted until 19.00 – one of the longest days’ tasting in my entire career! That evening we were treated to a lavish and spectacular Georgian banquet and floor show. The next day the tastings continued. Full Bodied Whites (disappointing). Many are macerated with the skins and stalks, have a sherry colour and notes of quince, apples, herbs and soil. Tannins due to forceful extraction and elevage sur lie. 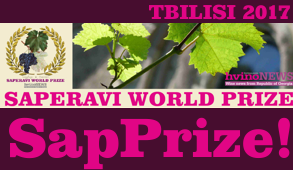 The predominant grape variety, where fine quality was to be found, was SAPERAVI (now greatly used in Russia). Its main problem is tannin management, but when well managed can be magnificent. Today we only broke briefly for a salad lunch and returned to the BUDESHURI grape and a number of spirits including CHACHA (the Georgian version of Grappa). Since there were so many grapes unknown to us in Europe I feel that I have to give a brief list of them. These are only the ones we tasted. There are many, many others. SPARKLING: Tavteli, Chinuri, Tsitska, Mtsvane, Rkatsiteli, Gorula, Goruli Mtsvane, Tetra. The most unusual grapes by far were RKATSITELI and KAKHURI (white). Rkatsiteli is regarded as Georgia’s most planted top-quality grape variety and makes an interesting and fascinating wine, totally different from traditional European table wine. You either like it or you do not, but if you do you will become an addict as it has a haunting and addictive taste. The classical European grape varieties such as Pinot, Chardonnay, Muscat, Sauvignon and Cabernet were used VERY occasionally, in small percentages, and purely for marketing purposes. When all was finished, around 16.00, we had tasted 156 wines and spirits and awarded 10 gold medals and 31 silver. When the results were made public some growers felt that we had been over severe, but we tried to explain that we had judged by world class standards, which is what would be required of the wines if they were to succeed on the export markets. Also 41 medals corresponded nicely with the OIV rule of not awarding more than 30% medals. That evening was a gala with the unveiling of the medal winners and the presentation of medals and trophies. This ended in a rugger-scrum buffet and ear-splitting male and female singing on an ultra-powerful microphone. We, the foreign judges, were taken back to our hotel for a quiet supper. Our last day was tourism. I shall not go into detail as it was not part of the Competition. A tour of the food market, a drive to a 4th century monastery, then an ancient town- Mtskheta with a magnificent cathedral, then Svetitskhoveli Cathedral. There is such a wonderful tale attached to this cathedral that I cannot resist recounting it. According to Georgian hagiography, in the 1st century AD a Georgian Jew from Mtskheta named Elias was in Jerusalem when Jesus was crucified. Elias bought Jesus’ robe from a Roman soldier at Golgotha and brought it back to Georgia. Returning to his native city, he was met by his sister Sidonia who upon touching the robe immediately died from the emotions engendered by the sacred object. The robe could not be removed from her grasp, so she was buried with it. Here it remains to this day. This was followed by a tour, tasting and lunch at Château Mukhrani (oak grove) where some 57 million Euros are being spent restoring the old castle of Prince Bachratoni and the vast and cavernous cellars. The winemaker is Lado Uzunashvili. That evening, our last, we were taken to eat the famous KHINKALI, delicious dumplings stuffed with spiced meat and soup. To sum-up, this is a small tasting but a showcase of Georgian wines. Nearly all the best producers submit samples. It shows the improvement in quality and the development in techniques. 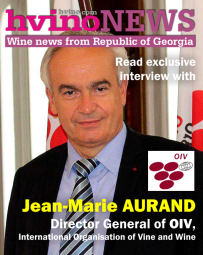 It also shows the great individuality of Georgian wines with their ancient and autochthonous grape varieties. For this reason alone it is of great importance and it MUST continue. It shows initiative, courage and foresight. 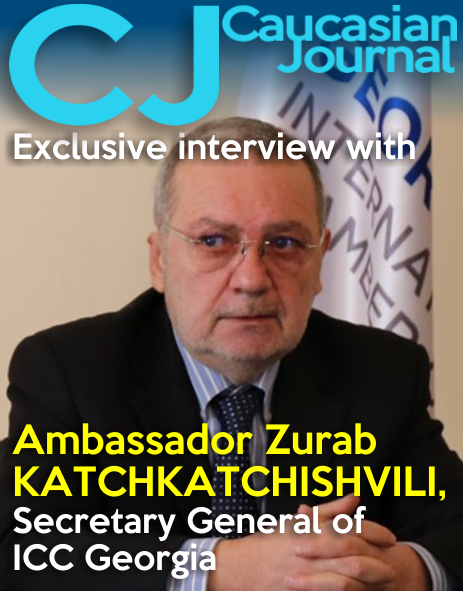 If the remarkable Jemal Inaishvili can obtain the patronage of the OIV this will become an important event. 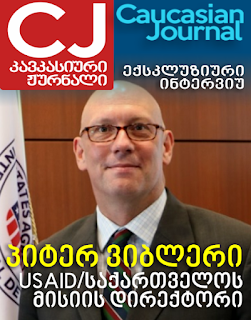 Georgian producers should support this competition and submit samples. With world-class judging they will make world-class wines. A delightful event. Thank you to all concerned for warmth, generosity and hospitality. I hope very much to be invited to the next tasting and to see yet another vast improvement. Georgian wines are already being imported from a couple of producers by Gurgaon-based Tabuni Wines who is importing still wines made from Saperavi, Rkatsiteli and Mtsvane grapes and will soon add sparkling wines to their portfolio. John Salvi is one of the most senior Master of Wines-in twenties, both in the serial number at IMW and pshychological age. He first appeared for his MW in 1966 but admits he was drunk when he sat in the exams He passed eventually in 1970. He has had a colourful personality-past and present.He has spent his whole life devoted to wine and is as passionate about it now at 75 as when he drank his first bottle of dÝquem aged 8- except now he carries his personal spittoon as he feels he has already finished his quota of wine drinking as advised by Bacchus. He lives in Margaux with his charming South African wife Nellie, and hob nobs with the big guns of Top Growths of Bordeaux. We are proud that he writes often for delWine as a guest writer.